DRRF Presents "A Night Of Salsa"
As we gear towards our 3rd annual backpack giveaway. 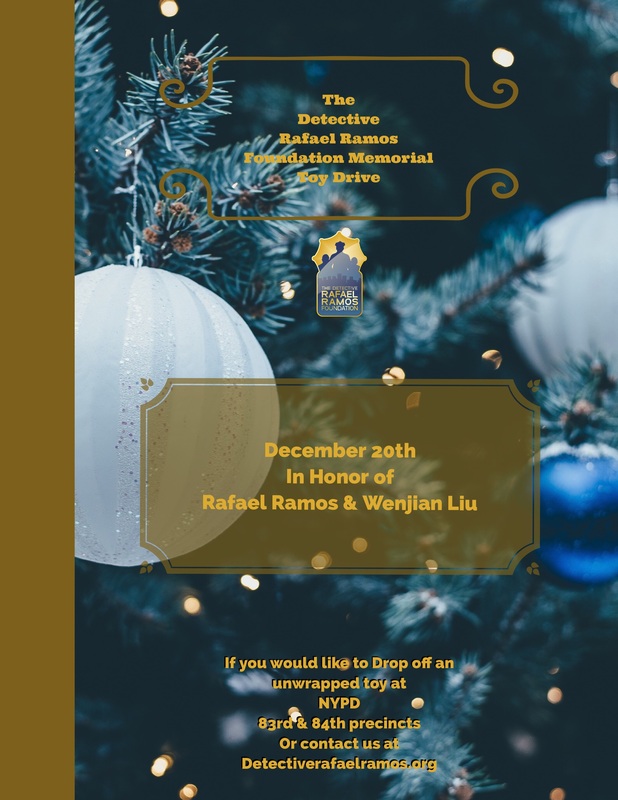 December 20th 2017 marks the third year since Rafael Ramos and Wenjian Liu lost their lives in the line of duty. No effort is too big or too small, our goal is to do our part and provide hurricane relief to Puerto Rico and the 3.5 million Americans that call Puerto Rico home. 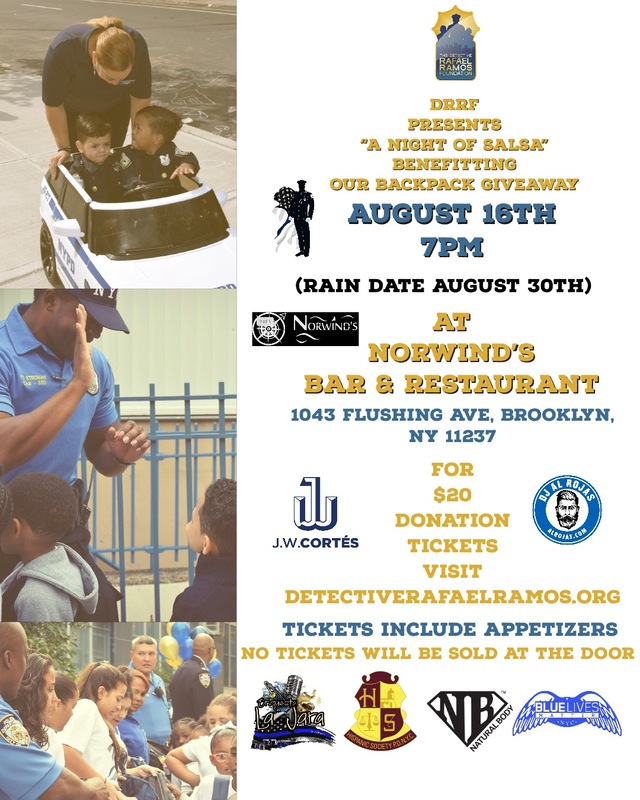 On September 26th, The Detective Rafael Ramos foundation in partnership with O’Lunney’s Times Square Pub will be hosting a fundraiser for the family of Detective Miosotis Familia. 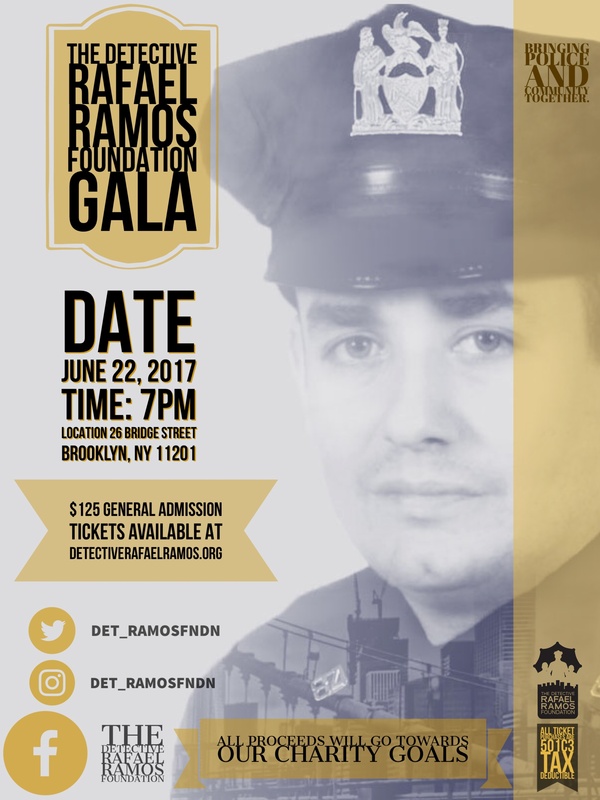 All ticket and auction proceeds will go directly to the children of Detective Familia. 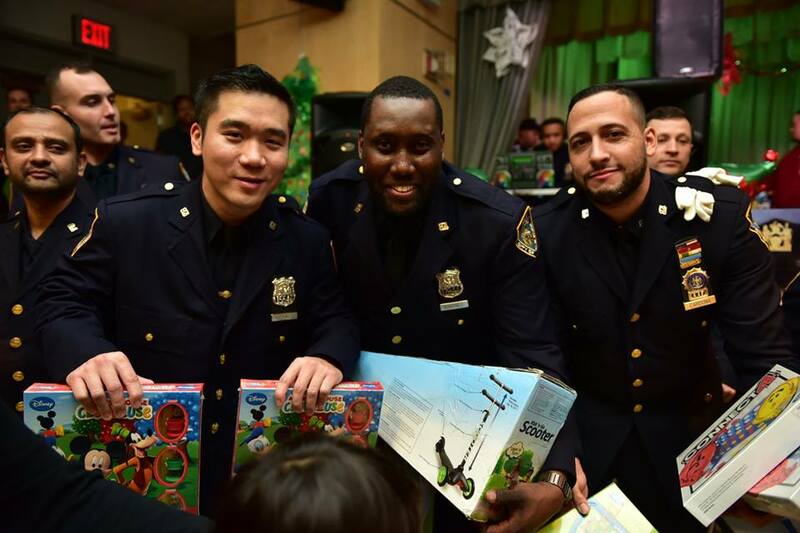 Join us as we strive to help Men and Women in blue and the communities they serve. Our 2nd annual Foundation Gala will be Hosted by Police Officer, award winning Marine-combat veteran turned actor J.W Cortes.  He is best known for originating his recurring role as "Detective Carlos Alverez" on the Fox prime-time hit-series GOTHAM. 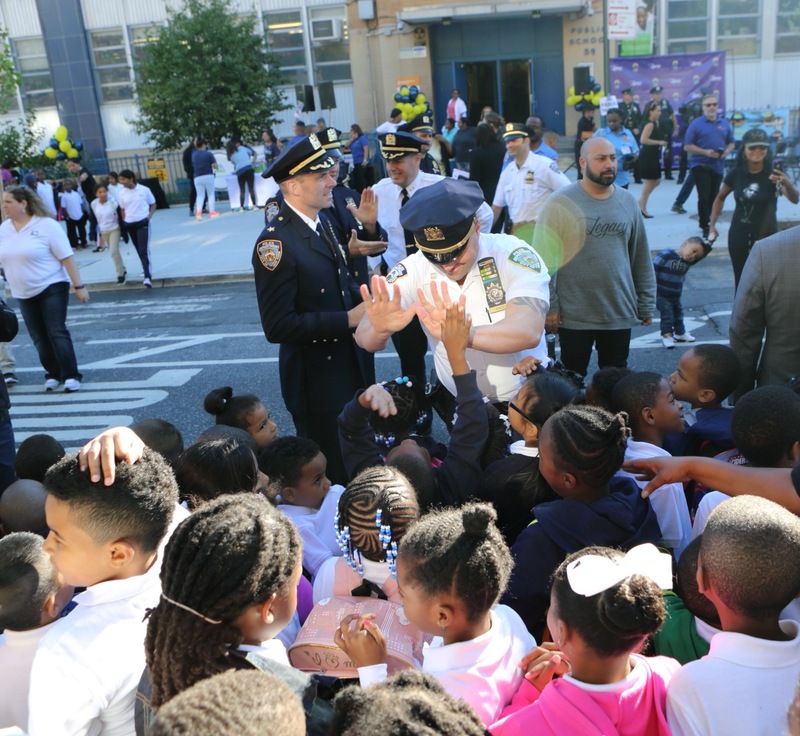 This past September 15th at P.S 59 2016 in Bedford Stuyvesant Brooklyn and September 23rd at P.S 151 in Bushwick Brooklyn we distributed over 600 backpacks filled with school supplies. Along with Backpacks we provided fun filled activies for the children of these schools. With your support we can continue to bring communities and famlies together in their moments of need. This past January 28th, 2016 we held our very first foundation fundraiser "A Night For Heroes"
On May 19th 2015 President Obama signed the blue alert law named The Rafael Ramos and Wenjian Liu National Blue Alert act of 2015.This law will require that the Justice Department create a notification system relating to assaults on police officers, officers who are missing in the line of duty, and credible threats against law enforcement. 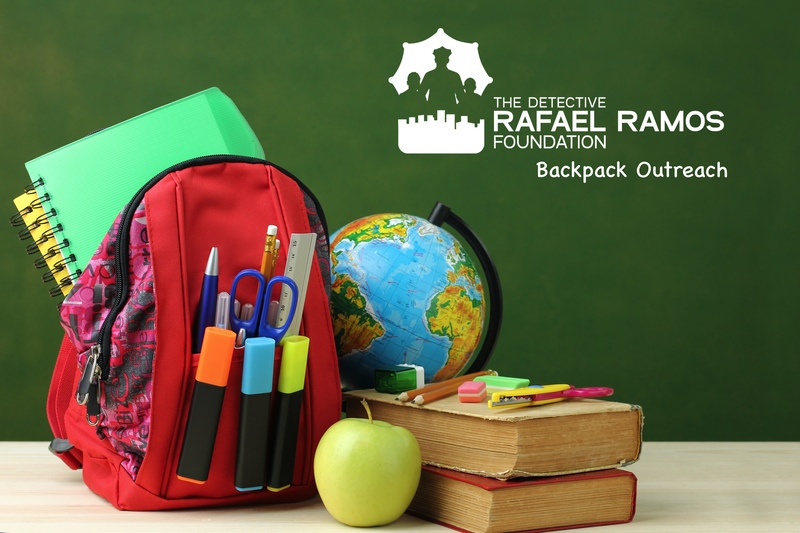 The Detective Ramos Foundation is dedicated to the growth of individuals, families and communities, nurture mutual respect, tolerance and healthy values in the communities we serve.